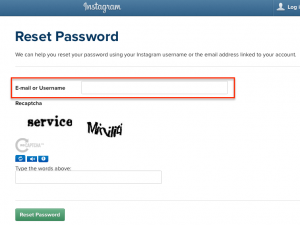 What Should I Do If My Instagram Account Was Hacked? If you’ve never heard of Instagram, you’ve been living somewhere other than Earth the past few years. More than 700 million people are using Instagram to visually capture and share moments like this. 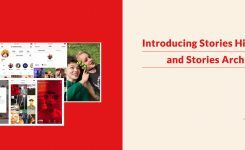 With so many people using Instagram to share such personal data, it’s no wonder hackers are interested in gaining control of Instagram user accounts. You may have noticed random photos that appeared on your account, or a lot of new, unknown people, that you’re following all of a sudden. Maybe you are unable to log in to your account. 1. If your Instagram was hacked, there’s a good chance your email was too. Start by using this free tool to find exposed passwords, credit card, bank and social security numbers in your email account. The tool will keep you safe by removing any and all private data putting you at risk for credit card and identity theft. So if hackers hack your inbox, they won’t find what they’re looking for, and you’ll be protected. it also allows you to notify friends who sent or received the risky email and ask them to delete the thread. Once you’ve managed your email, you can now deal with your Instagram hack. 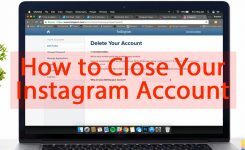 If you can’t get into your Instagram account but you still have access to the email account associated with it, reset your Instagram password. a. Click on “Forgot” on the home page. b. Then enter your email address to reset the password. 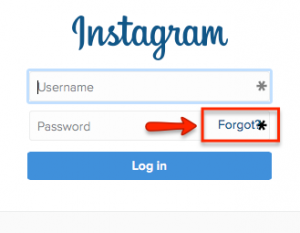 c. You can also change your Instagram password using the Instagram app. To get there, log in and click on your profile icon at the bottom right corner of the page. Then, click on the settings icon on the page that appears, and look for the Change Password option. – Is not based on personal information like your date of birth, spouse’s name, etc. If you are reusing your Instagram password on other sites such as Gmail or iCloud, change your password on those services too. You don’t want your Facebook account hacked as well as your other accounts. Attackers often use password reuse (an ill-advised but common practice) to gain access to their victims’ other accounts! Hackers often gain access to social media accounts after first hacking into victims’ email accounts. Because of this, you should make sure you’re using all protective measures available to you to keep your email account safe. 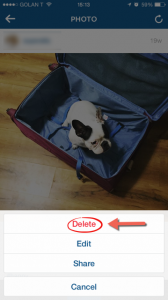 – Use LogDog — it’s a free app that monitors your account for any suspicious activities and alerts you if it detects anything iffy so you can quickly thwart any hacking attempts. The service can be used across all devices and OS’s, so you’re always being protected. Here are the Android and iOS links for you to check out. Check out which third-party apps have access to your Instagram account, and revoke access from any app that looks suspicious. To do this, go to this link. and simply click on “Revoke Access”. Revoke all apps from accessing your account and re-enable access later, after you believe the hacking incident has been resolved. This way, if an attacker is accessing your Instagram account via one of these other apps, he’ll immediately get shut out when you revoke access to these apps to Instagram. Note: Giving access to apps again in the future may again grant the hacker access to your Instagram account. Therefore, it’s recommended to grant access to apps slowly (one at a time), to help you identify the specific app the hacker is using. Go over your Instagram feed and make sure there haven’t been any pictures or comments posted that you’re unaware of. Any activity you don’t recognize as your own — especially posts containing links to other websites — should be considered extremely suspicious. If you see anything suspicious, remove it right away, especially since it may endanger your followers. Hackers often use one compromised social media account as a stepping stone to hijack friends’ accounts. You should always log out of Instagram (and any other personal account) when you use a device shared with other people (like a computer at an internet café or library, or a phone that you’re borrowing). If you don’t log out, you’re basically giving any third-party the keys to your account — not a good idea! 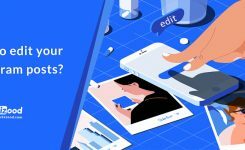 How to edit your Instagram posts?